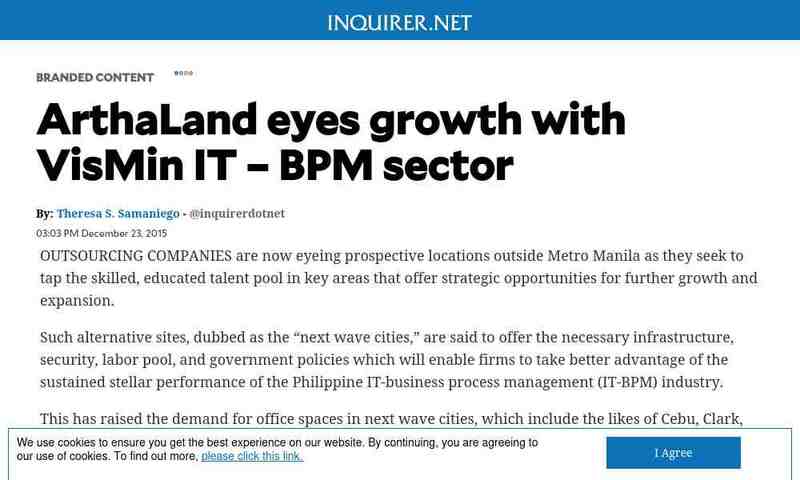 "..OUTSOURCING COMPANIES are now eyeing prospective locations outside Metro Manila as they seek to tap the skilled, educated talent pool in key areas that offer strategic opportunities for further growth and expansion. Such alternative sites, dubbed as the ..."
"..This was on the back of the company's experience in building the country's first and only top-end residential and office developments that are on target to achieve dual green building certification in both USGBC LEED and PhilGBC BERDE. Green buildings ..."